Context: Internal competivity and relational factors can affect negatively on individual’s wellness and they can affect entire teams. Needs: The organisation needs to recognise that people is suffering because of professional or personal stress and tensions so that it can support individuals to face difficulties, reducing absences and dysfunctional behaviours. Activities: Through a reflection and constructive sharing experience, people are able to identify and recognise stress truggers and learn how to better manage stressful situations. When stress goes beyond a certain level, it turns from a positive into a negative and toxic factor. Especially when the origin of stress is not controllable by the organisation, managers and team leaders may increase he level of toxic stress increasing individual’s sense of helplessness. Lots of energies are wasted trying to keep stress under control. The sense of uncertainty, powerlessness and inability to face new situation increase the levels of stress. For this reason, new situations, although not necessarily negative ones, are often experienced as stressful events. 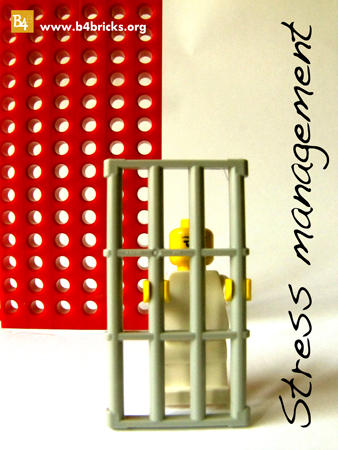 Learning to manage stress is today essential as it is recognised as a cause of many collateral problems, including dysfunctional teams and loss of working days. Building and visualising the scenario and the stressful factors, enhance participants’ identification of new relations and values that will support them and help them facing stressful situations. During the workshop participants will reflect and share experiences about stressful events, try to identify the triggers and the origins and develop new perspectives that will allow them to better manage tensions, turning toxic stress into a positive one, avoiding negative thinking to overwhelm them. All managers and executives facing a stressful moment. This entry was posted on May 4, 2013, 3:27 pm and is filed under Uncategorized. You can follow any responses to this entry through RSS 2.0. Responses are currently closed, but you can trackback from your own site.